On January 30 the Local 100 bargaining committee agreed to a new three year contract which will extend the contract for a total for a total of seven years. We received increased job protections and a clearer understanding of the rights of bargaining unit employees when called into a meeting that may result discipline. from left Bargaining Committee members – Sandra Williams, Jacqueline Danvenport, Jeanetta Tyson, Angela Adkins & Local 100 Chief Organizer Wade Rathke. from left: Orell Fitzsimmons, Local 100 Field Director, Bargaining Committee members Sandra Williams, Angela Adkins, & Jeanetta Tyson. “With what is happening in the U.S. Congress there is no better time than now to have a strong Union at a Head Start agency. We must be a voice to protect Head Start against the powers in Congress that wish to put an end to the whole agency” said Angela Adkins, Chief Steward at CCAA Head Start. July 21st, 2012 ~ Local 100 members from Louisiana, Texas, and Arkansas as well as members from A Community Voice attended the Local 100 Leadership Conference this weekend in New Orleans. Members participated in workshops on Community Unionism and grievance training. In addition, the head of the Louisiana Democratic Party and Louisiana State Senator Karen Carter-Peterson shared information with the group on the impact of state Medicaid and healthcare cuts. Darlene Wilkins, Michael Tippens, and Antoinette Lee (not pictured) represented the bargaining unit at ResCare Baton Rouge by successfully bargaining a new contract. The wages increased significantly for the majority of the workers and the accrual system for Paid Time Off increased as well. This was a great win for Baton Rouge workers! Freeman workers voted last week on a part of their contract that lowered the number of hours some workers needed to get a wage increase as an incentive to do rigging work. January 24th, 2012 Union members in Shreveport who work for Caddo Head Start and nursing homes throughout the region held a protest at the Shreveport Comcast Office on Quilen Rd. to demand that Comcast follow through on their commitment to bring affordable Internet services to low income families. Despite making agreements with the Government that they would provide lower cost services in exchange for being allowed to merge and take over competing companies, Comcast has failed to properly advertise the lower cost option to low income families and gives low income families who ask about the $9.99 service the “run around.” Local 100 members have asked the Federal Communications Commission (FCC) to investigate the company for deceptive advertising and failure to follow through with their own agreement. LARC monthly meetings are pictured here to show the many meetings that prepared the success of the LARC – Local 100 bargaining sessions. Local 100 LARC has elected a number of stewards. Two of whom are Jerome August and Shalanda Fontenot. They are a L100 Lafayette Stewards family. They put in long hours with the daughter of the family who is an honorary Local 100 member. LARC negotiations bargaining committee is pictured here. Gabrielle Bienvenue and Jerome August helped Local 100 bargain a wage increase for all the bargaining unit workers at LARC including the SIL and PCA workers. Wade Rathke stands with Gabrielle after successful negotiations. The Local 100 Leadership conference was led by Mildred Edmond, the president of L100. She moderated the conference of 75 members from Local 100 and A Community Voice. It was very inspiring! Veiola and Local 100 are in the process of bargaining now. Nominations are now open to any other qualified member (a dues paying member for the last 2 years who submits sufficient signatures on a qualifying position to run according to Local 100 Constitution and Bylaws) until December 1th and must be received by the close of business that date at 3401 St. Claude Avenue in our headquarters in New Orleans. If there are no additional nominations for any position, the slate will be elected unanimously. If nominations are received for any particular position, then ballots will go out for voting to take place by December 15th. The new terms will run from 1/1/12 through 12/31/14. Thanks to all Local 100 members for their participation. Over 45 members came to the Local 100 Bar-B-Q at the AFL-CIO hall from CADDO Head Start and Nexion Nursing Home. We discussed the upcoming vote on Head Start funding and made a commitment to go to the Nation Head Start Association web page to send letters to President Obama, both Louisiana U.S. Senators and the Shreveport Congressman asking them to not cut Head Start funding. CADDO members took membership cards to sign up new members at their centers. Our Nexion members spoke about the problems with the Administrator and the supervisor in the kitchen and we made a plan to confront her about her abusive behavior. Everyone got full of bar-b-q ribs, chicken, pork chops and peach cobbler. Special thanks for cooking go out to Mr. Jackson and Mr. Adkins. Members were very happy with the new Local 100 T-Shirt with nine members buying a t-shirt and the plan is to go to the next CADOO Board meeting with everyone wearing their shirt. The 50/50 raffle was also a big success. United Labor Unions Local 100 filed a petition on behalf of the Orleans and Jefferson Parish meter readers. This is a unit of approximately 52 men and women who are stating their need for job protection and job security. These men and women are out there rain or shine, in the heat and in the bitter cold. As one of our long time meter readers says “When it gets too hot they take the mules and the donkeys off the street, but they don’t take the meter readers.” Some of the meter readers of Jefferson and Orleans Parish have been working for years, some decades to make sure that Entergy clients get their utilities read in a timely manner so that our meters are as accurate as they can be. In return, all they are asking for is to be treated with dignity and respect, and a voice. United Labor Unions Local 100 is proud to work towards a union election with these hard working men and women. Every second Saturday of the month LARC employees meet in the Acadian Park on East ALexander in Lafayette, LA to discuss issues that concern their work as healthcare employees that work with the Lafayette area’s developmentally disadvantaged citizens. Local 100 members at LARC have worked with the company for many years, some of them have been there for upwards of 20 years. After decades of dedication to the clients and the company there are still issues that need to be resolved for LARC employees. Our members have deep love and concern for the clients who they see everyday. Recently, Governor Bobby Jindal cut the reimbursement rate to the healthcare industry and this affects many healthcare employees that are Personal care Aides across the state, and most importantly it affects their clients. Cilents who receive one-on-one care have seen the hours that PCAs can take care of them cut. That means that these clients are forced into precarious situations when they are unsupervised and means that many of them can no longer be the independent force that they were prior to the cuts. It also means that our personal care aides have seen their hours cut as well. 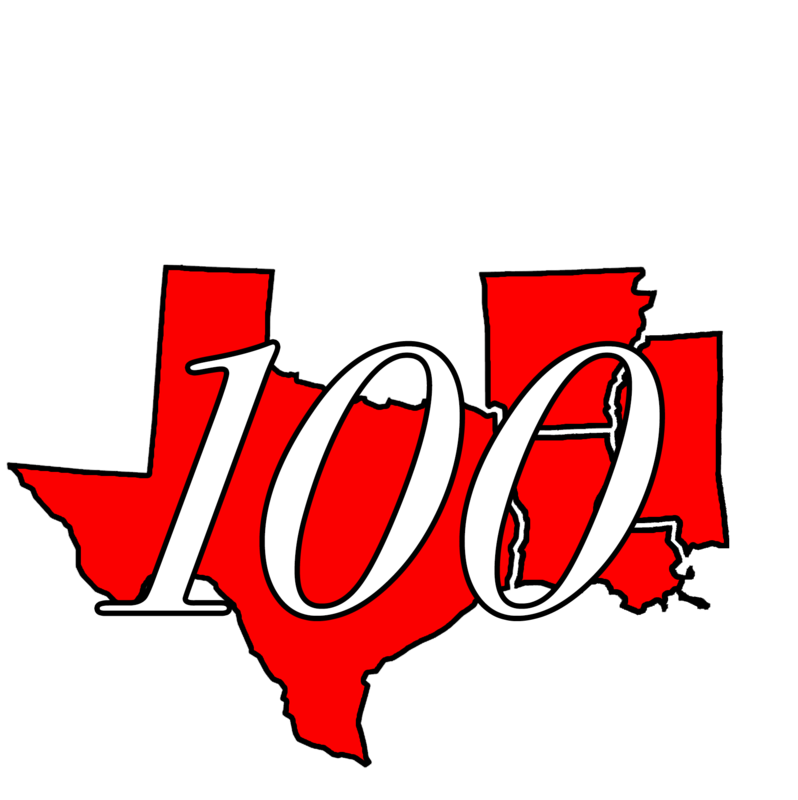 Local 100 is organizing community home and health workers across the state to combat these cuts and address the developmentally disadvantaged people of Louisiana by becoming involved in this movement to have healthcare fully funded while at the same time addressing the individual issues with each of their employers. Gas prices are rising and the demand to organize is growing as each day passes. United Labor Unions Local 100 Louisiana created a Mardi Gras basket complete with everything one would need to throw a great Mardi Gras party. Red beans and rice, jambalaya, tshirts, masks, a Zulu coconut, home decor, and somethings to drink. Over the course of January and February raffle tickets were sold in Louisiana and Dallas, TX to make sure that everyone had a chance to party like the Who Dat New Orleans Local 100 members. The President of Local 100, Mildred Edmond, picked the ticket out of the bag and after a long period of waiting we found out who won! Ada from the Mid-city corner store and sandwich shop was the lucky raffle winner. Caddo Head Start workers held their regular membership meeting in Shreveport Louisiana, Wednesday evening, November 17th. The next meeting will be on December 8th at the Hamilton South Caddo Branch Shreve-Memorial Library at 2111 Bert Kouns. Membership discussed many issues facing Caddo Head Start. The workers plan to help the Agency become the best Head Start Agency in Louisiana. Members supported a 12-month program for Head Start children, better working conditions for cooks, and the need for teacher aides for all classrooms. They also support a pay increase of $1.50 an hour whenever a teacher aide teaches a full eight hours without a teacher present in the classroom. Please come to our next meeting and share your ideas for improving Caddo Head Start. Waving signs and chanting loudly, a group of disgruntled janitors staged a small demonstration Friday outside the main office of the Algiers Charter Schools Association, questioning the association’s decision to ditch their company and hire a more expensive one for maintenance and janitorial work next year. The dozen or so picketing janitors, who work for the custodial and maintenance company GCA Services Group, said they didn’t understand why ACSA had refused GCA’s bid of $2.168 million for the upcoming year of service, thereby putting about 60 employees out of work. Instead, ACSA hired commercial cleaning company Jani-King, which submitted a bid of $2.257 million. After a long fight, Local 100 won another two-year contract with Caddo Community Action Agency, the Head Start Agency in Shreveport, LA. Members unanimously approved the contract. We held strong and fought hard, and in the end Local 100 won. Thanks to everyone who helped. Local 100 and Caddo Community Action Agency in Shreveport, LA, recently negotiated a new two-year contract. CCAA is the Head Start program in Shreveport. The contract included changes for the better in health insurance, workplace safety and working conditions. The CCCAA board approved it on February 9. With president Obama in charge of the Federal government we expect Head Start to receive more funding, which will mean higher wages for our members. We also hope that the President will win national health insurance to cover all citizens. These are pictures from the June 1st launching of the Reform Immigration For America campaign in New Orleans conducted jointly with Local 100 SEIU and New Orleans ACORN. The event opened with press conferences around the nation. In New Orleans, it was at a Lowe’s Home Improvement store with day laborers, who use the store site to find daily work. On May 20th, SEIU 100 signed a new pay scale for all employees at Heritage Manor Nursing Home in Napoleonville, LA. All LPN’s received an extra $1.50 per hour. CNA’s and Dietary Cooks received $.50 more per hour, and if CNA’s show up on time and work a full shift they receive another $1.00 per hour. Non-certified Aides, Dietary Aides, Laundry and Housekeeping received $.55 cents per hour. These are the highest wages for workers we represent in Louisiana nursing homes, and the incentive pay for showing up on time is a first ever anywhere in Louisiana, which we hope to implement in all other nursing homes in the state. Local 100 held it’s annual Leadership Conference in Baton Rouge, LA, this past weekend. People came from all around to learn how to be more effective union leaders, catch each other up on their activities, swap stories and enjoy each other’s company. Baton Rouge Every year Local 100 has a Leadership School for our stewards, and this year we met at our union hall in Baton Rouge. More than 30 stewards came in filled with vim and vigor especially because of the recent election successes of the local in New Orleans and Dallas. The meeting started with a bang as the Dallas delegation fired up the meeting with the report of their election victory from the day before when Local 100 won a mail ballot election for sanitation workers with the City of Dallas for 230 workers by the vote of 38-0! This victory followed three recent election victories in New Orleans for sanitation laborers, sanitation drivers, and custodial school workers, all of which are privately contracted now and in first contract bargaining. Local 100 Members at Nexion Claiborne in Shreveport recently met to discuss a pay raise offer from the company, which operates one other nursing home in Shreveport. Thanks to their participation, CNAs will get a 50-cent per hour wage increase, while housekeeping, laundry and cooks will get an additional 25 cents. They also agreed to work to unionize the other home. In this photo, Alice Burney, LaDonna Atkins, Judy Henderson and Irene Coley show their strength in unity at the regular monthly meeting. SEIU Local 100 monthly meetings in Shreveport are the last Thursday of every month at 7:00 p.m. at the union hall, 5000 Greenwood Road. For more information, call the Union at (318) 636-9027. Local 100 is getting pay raises for workers at the Nexion Claiborne nursing home in Shreveport, LA. Recently, the company offered CNAs there a $.50 per hour raise and all other members a $.25 per hour raise. However, information came out that workers at the company’s non-union home in town received a bigger raise and that state legislative action might entitle them to even more than the company offered. So the workers voted to re-open wage negotiations to get what they deserve. Also, they asked for Card Check and a similar union contract at the company’s other home to insure fairness. These photos are from Nexion Claiborne. In the first, Michelle Smith signs her first union card, building the union one member at the time. Juanita Brooks in the second photo helped sign her up and helped organizer Kevan Smith, pictured to her right, set up a table in the home to sign up members and talk about the pay increases. In the last photo, Alice Burney, Ladonna Atkins, Rodessa Butler and Irene Coley, from left to right, were leaders in deciding Union strategy regarding the pay increase. Local 100 in Shreveport is also working to organize all nursing home workers in the area into an organization called the Shreveport Nursing Home Association. The organization’s aim is to get workers out of poverty and to achieve the respect and dignity deserved by people who take care of our elderly family members. June 2, Saturday afternoon in Shreveport, LA, started off hot and rainy, but that didn’t stop Local 100 members and other unions and organizations from turning out to support worker rights in Tar Heel, NC. Celebrity chef Paula Deen was in town promoting her multi-million dollar cooking enterprises, and our local and the UFCW made sure she would have a warm welcome, protest style. Deen endorses Smithfield Foods, which which mistreats workers at its Tar Heel plant, the world’s largest pork producing facility. Abuses by the company there include harassment, intimidation and racial insults. They’ve held two elections to unionize, but both were so stymied by unfair company practices, that the NLRB overturned them. You can find out more at the website smithfieldjustice.org. Before Deen’s appearance, UFCW organizer Nazey Gulec and Local 100 organizer Kevan Smith contacted other unions and civic and religious organizations to organize a protest. Showtime, and over 30 people turned out to hand out flyers and testify about the conditions in Tar Heel to Deen’s adoring throngs. “More member involvement,” was the cry that resounded throughout the Ironworker’s Union Hall in Shreveport, Louisiana, the site for the SEIU Local 100 Leadership School. 35 union stewrads from New Orleans, Dallas, Houston, Little Rock, and Shreveport made time for the weekend event that turned out to be a real success for everybody. Local 100 members and organizers drove in from near and far, lunched on bologne or salami sandwiches, or just PB&J, grabbed a drink and got down to business. The stewards began the weekend by recalling what event caused them to take a chance and join the union campaign. Once these stewards got started it was near impossible to stop them. Who doesn’t enjoy a good story about harassment from supervisors? Members recalled frustrations over realizing that they had a choice to join a union, which management had never told them. Lashon Hollmon, a Gulf Coast Community Services Association steward from Houston, had everyone laughing as she told her tale. She had been reprimanded by a supervisor for eating lunch at her desk, but when she showed up for the grievance hearing with her union representative, they found her supervisor noshing a bite of lunch quietly at her desk! Guess supervisors don’t have to swallow what they dish out!? Steward after steward, the stories told illustrated that supervisors rule their roosts by inducing a sense of dread and fear, and by keeping employees ignorant and disorganized. This leadership school attacked these problems and realities head on. On Saturday, July 25th, hundreds of purple clad people marched down Canal Street in New Orleans chanting “HEY HEY, HO HO, CAFTA HAS GOT TO GO” in opposition to the Central American Free Trade Agreement. We rallied at the JW Mariott where delegates to CAFTA from the US and across Central America were scheduled to meet. The rally was part of a three day SEIU Southern Conference. SEIU members traveled to New Orleans from across the South to attend the SEIU Southern Conference. Members from Louisiana, Texas, Arkansas, Florida, Georgia, and Tennessee participated in workshops on organizing, coalition building, developing political power, and how to be a good steward. SEIU President Stern was unable to attend, and sent a taped message, but the remaining International Officers were there and made speeches. After a long fight, Local 100 won another two-year contract with Caddo Community Action Agency, the Head Start Agency in Shreveport, LA. Members unanimously approved the contract. We held strong and fought hard, and in the end Local 100 won. Thanks to everyone who helped.